A complementary breakfast is one of the best parts about staying at a Savannah Georgia Bed and Breakfast and the breakfasts we serve go well beyond the usual fare. Breakfast is served daily in our dining room, from 7:30 a.m. – 10:00 a.m. You can also eat outside in our lovely courtyard weather permitting. Or, we can deliver breakfast on a tray, with coffee and tea, to your room. Above all we want to meet your needs. If you have a special request, please let us know. We will do our best to accommodate you. Upon request, we proudly serve delicious vegetarian and similarly vegan and most noteworthy gluten-free breakfasts. We also accommodate guests who have food allergies or other dietary restrictions. Hence all of our guests enjoy a different breakfast each morning of their stay. 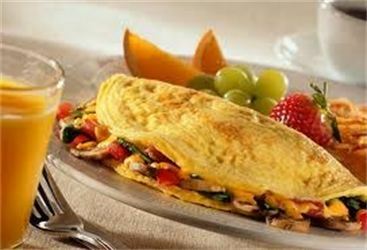 We use only the freshest of ingredients and our entire breakfast menu is made to order for you and only you! It certainly is our pleasure to cater to your needs. So if you have an alternative diet need, we’re knowledgeable and happy to accommodate that for you. Consequently let us know in advance of any allergies you may have. Please check with the innkeeper for breakfast service time upon check-in. furthermore, Breakfast is included at no extra charge with our Savannah Georgia bed and breakfast rooms, as is afternoon tea and wine and hors d’oeuvres.